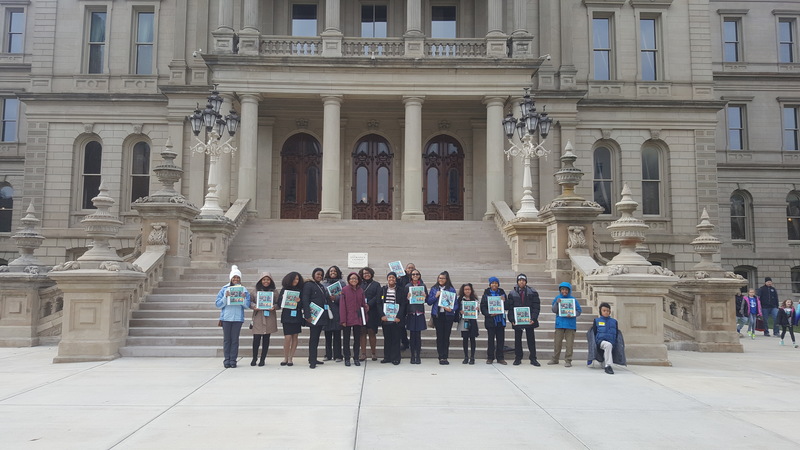 Students at Foreign Language Immersion and Cultural Studies School had the trip of a lifetime during their visit to Lansing for the Michigan Youth in Government Leadership Conference. Students from all around the state ranging from grades 6-8 stayed the weekend in the state capitol to serve as delegates in the Michigan House and Senate. As delegates, the FLICS students utilized parliamentary procedures to pass bills and discuss relevant topics that affect their community. The FLICS Delegation spent weeks preparing through Learning Lunches and After-school Meetings with the help of the Renaissance High School Senators. What a great way to take learning out of the classroom!